Not too long ago on a very frigid weekend (we have had a lot of those so far this year) my husband wasn't feeling well and I was feeling like hibernating at home. It was the perfect kind of day to break out one of my favorite childhood comfort food recipes and get cooking. I don't know how often my mom made this when we were kids, but it's definitely one of my most vivid childhood food memories. I'm not normally a proponent of casseroles, but this dish is my exception to the rule! 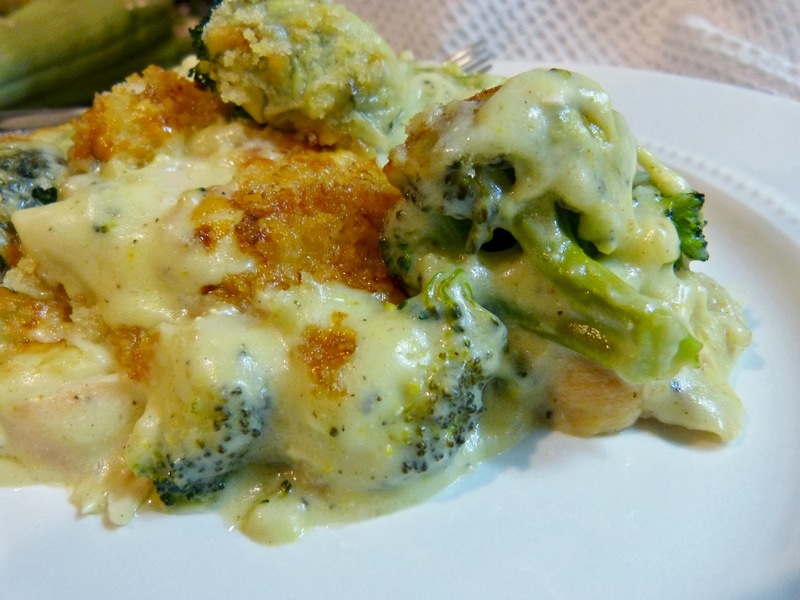 Tender chicken breasts and broccoli are baked in a creamy cheese sauce with a crunchy crust. It's the perfect combination of everything that comfort food should be: crispy, cheesy, and creamy. I have shared a version of this recipe with you before, which was already a bit of a makeover to my mom's more old school chicken divan. In that one, the major upgrade was a switch from canned cream of chicken soup to a totally homemade version. I kicked it up a few more notches this time around to make it both tastier and healthier: swapping frozen broccoli for fresh, cheddar for creamy nutty Gruyere cheese, a little Greek yogurt is subbed in for some of the mayo, and then I added hot sauce and Dijon for a more intense flavor. The result was an even better version of my already favorite casserole... a ringing endorsement, if I do say so myself! This recipe is super versatile. It makes enough to serve a crowd, so it's ideal for a low key dinner party. It was also always one of my mom's go to casseroles for potlucks, friends and family in need, or to bring along when they'd visit me in college. It freezes really well, so it's a great dish for any of those purposes. 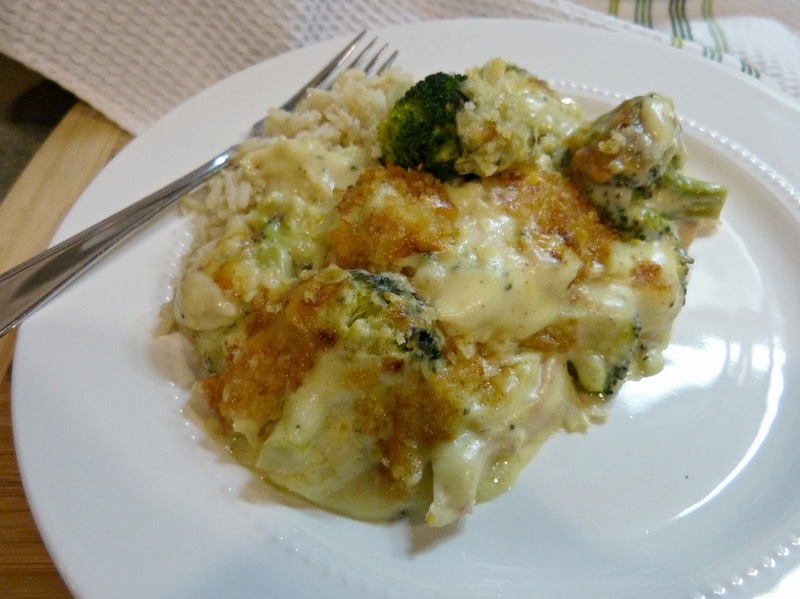 Another one of mom's tricks was to cook the rice that we normally serve on the side and layer it in the baking dish first, followed by the broccoli, chicken, etc. Then it truly becomes a one dish meal. This is one of my favorite recipes-- definitely one that is near and dear. I hope you enjoy it as much as I do! Preheat oven to 350 degrees. 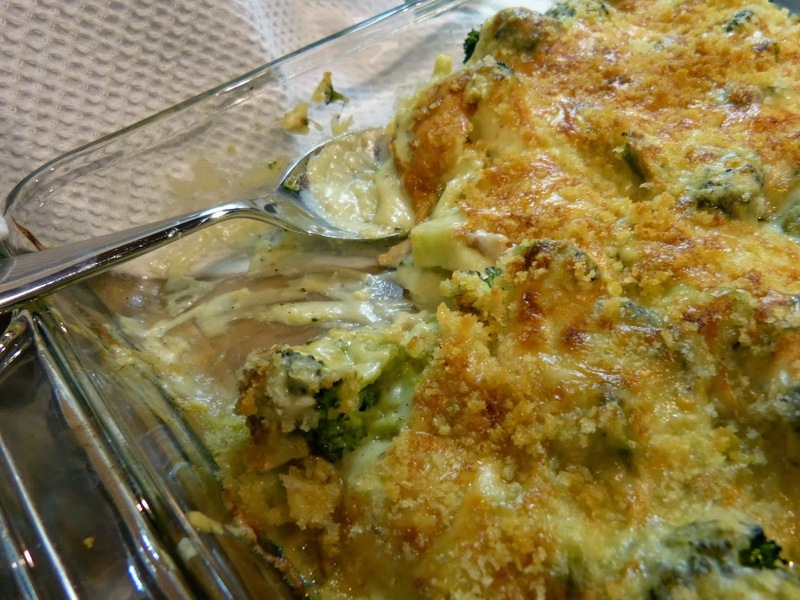 Cook broccoli, drain, and arrange in a 12" x 9" baking dish lightly coated with cooking spray. Arrange the sliced chicken on top. Melt butter with 3 Tbs. of oil in a medium saucepan. Whisk in the flour, poultry seasoning, salt, and pepper. Cook over medium heat until bubbly. Slowly pour in the broth, stirring with a whisk to prevent lumps. Cook until thick, whisking frequently. Remove from heat and cool for at least 5 minutes. In a medium mixing bowl, combine the cooled broth mixture, mayonnaise, yogurt, lemon juice, curry powder, mustard, and hot sauce. 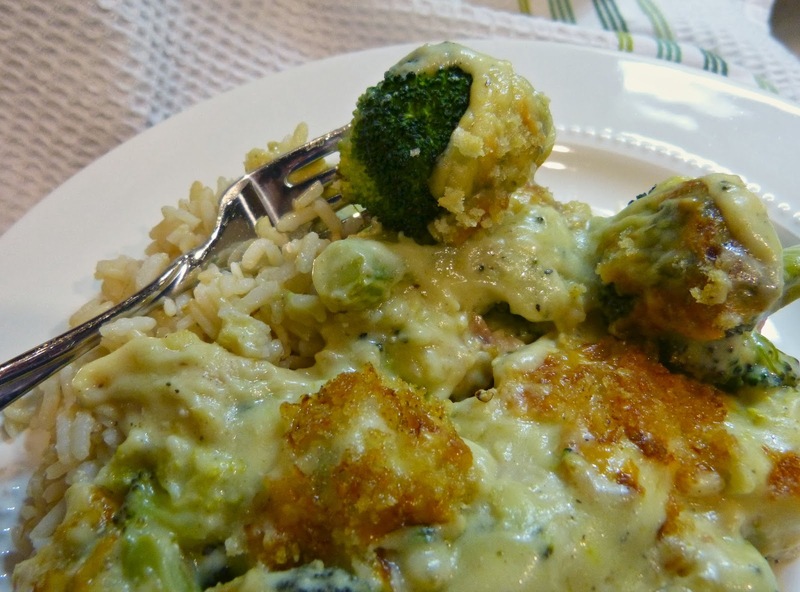 Pour evenly over the top of the chicken and broccoli. Sprinkle shredded Gruyere evenly over the top. Combine the remaining 1 Tbs. of oil in a small bowl with breadcrumbs and sprinkle over the top. Bake for 25-30 minutes until the top is brown and bubbly. Broil for an additional 5 minutes to get the topping nice and brown. Serve hot with cooked rice. A few more cheesy chicken recipes to know: Zesty Italian Chicken Sausage & Zucchini Lasagna, Chicken Enchilada Stuffed Shells, Roasted Chicken Parm Pasta Bake. Visiting via Honey and Birch! I'd love to try your recipe...it looks so good! Pinning! So glad you stopped by, Michelle! This has my ultimate comfort food recipe since I was a kid. It's so good!